We’re always excited to talk about a new partner nonprofit and how their mission serves a need in the community, and Mandy’s Farm is one of those special organizations. For more than 20 years, Mandy’s Farm has provided a supportive community dedicated to serving adults with developmental disabilities in the Albuquerque, New Mexico area. Ruthie and David Robbins founded Mandy’s Farm in 1996, naming the organization in honor of their daughter Amanda (“Mandy”) who has autism. Since its founding, the organization has expanded to provide more than residential services. With the commitment of a dedicated staff and the support of generous volunteers and donors, Mandy’s Farm provides employment and day services, art classes and workshops that are a natural extension of their mission to provide high-quality services. Jessie Calero, Development Director, shares how Mandy’s Farm is making a difference for adults with developmental disabilities and their families. What is your role and how long have you been with Mandy’s Farm? What do you enjoy about your work with the organization? I am the Development Director at Mandy’s Farm and have been with the organization for five years. I began my career at Mandy’s Farm working directly with the individuals in their homes and in the community. Since that time, I have had the opportunity to build and develop their programs in order to meet the increasing need for disability services in our community. My favorite part of my work at Mandy’s Farm is being able to interact with the individuals we serve on a daily basis. We support adults with developmental disabilities, and I often get time throughout my work day to chat with them about how their day is going, how their family is doing, and find out what is new in their life. Many of these individuals have become close friends and are people with whom I enjoy spending my time. It has been thrilling to see them grow and develop skills for independence as our programs have expanded to meet their needs. How does Mandy’s Farm help individuals with developmental disabilities? Tell us more about your programs. Mandy’s Farm has three main programs that meet the needs of those we serve. We have a residential program that supports individuals in their own homes, whether they live with roommates, their families, or surrogate families. We ensure that they are safe and healthy within their homes, providing assistance with shopping, cooking, cleaning, personal care, and any medical support they might need. We also have a weekday pre-vocational program that assists individuals with developmental disabilities in exploring their community, building skills for the workplace, and developing relationships with peers and members of the community. Through this program, individuals can participate in adaptive horsemanship, visual arts programming, swimming, yoga, performing arts, classes in reading and writing, community service, language workshops in Spanish and ASL, and adaptive gardening (through which they can sell their produce to the community at local farmer’s markets). Finally, we have an employment program through which the individuals we serve can obtain employment in the community, making minimum wage or higher. This is one of our most critical services, as 100% of the individuals we serve live below the Federal Poverty Line and rely almost exclusively on Social Security in order to support themselves. Through this program, individuals are able to increase their financial independence and increase their engagement with the community. Tell us about the individuals you serve through your programs. The adults we serve have a wide variety of developmental disabilities (some common developmental disabilities include Down Syndrome, Autism Spectrum Disorder, or Cerebral Palsy, but encompass a huge variety of diagnoses and accompanying support needs). We focus on serving individuals who are 18 years of age and above, as we have found that quality services can be hard to find after high school. Most of the individuals we serve are highly motivated to be involved in their community, live independently, and obtain employment, but have support needs that can be a barrier to these goals. Our mission is to meet these needs in order to allow the individuals we serve to lead the kind of life they envision for themselves. Do you have a special memory or story about Mandy’s Farm? One of my favorite Mandy’s Farm stories is about a client who joined our program after losing his job in a thrift store due to layoffs. He began attending our pre-vocational program, but was deeply distressed about no longer having a job. After some time spent participating in our programs, he was able to rebuild his confidence and decided that he was ready to re-enter the workforce. While he has some communication barriers, we found that he had amazing strengths in terms of his attention to detail. He loved to sort things, complete complex puzzles, and do other tasks that others might find tedious or difficult. Through our Everyone Can Work program, we were able to place him for employment at the local “Bricks & Minifigs” shop. As they buy and sell lego and off-brand building bricks, they require that someone sit and sort the legos for resale, something that Sean loves to do. He is still working there and is always looking for more hours as his job brings him a great deal of joy and financial independence. What are your hopes for the future of Mandy’s Farm? Anything new or upcoming for 2017? One of our primary goals for the future in terms of programming at Mandy’s Farm is related to the VAMOS Program. This program is still in the planning and development stage, with our launch tentatively scheduled for this summer. VAMOS stands for Vocational Access and Meaningful Opportunities for Success. Our goal for the VAMOS program is to offer services to individuals with developmental disabilities who are without state Medicaid Waiver funding (the individuals we currently serve are offered an array of services through this program that allows them to attend programs of their choice, obtain employment, and live in the setting of their choice). Over 6,500 individuals in the state of New Mexico with developmental disabilities are on the waiting list for these services, but are without support until they are allocated (a process that can take a decade or more). The VAMOS program would provide these individuals with access to our services, allowing them to access vocational support and respite services until they are allocated, filling the service gap that can leave them at risk for abuse, neglect, and exploitation. This will make a significant difference, not only in the lives of individuals with disabilities who are currently without services, but also in the lives of their family members, who are often forced to forgo their own goals in order to play the role of fulltime caregiver. Become a monthly or one-time donor of $10 or more by visiting our website. Register your debit or credit card with CaringCent to allow your spare change to make a big difference by visiting our Mandy’s Farm CaringCent page. Donate gently used professional attire or gift cards to support our Everyone Can Work clothing pantry. Your donation will be available to individuals with developmental disabilities to borrow from when planning to attend job interviews in the community. Send an email to info@mandysfarm.org to find out more about current volunteer opportunities at Mandy’s Farm. Support integrated employment for individuals with disabilities by contacting Mandy’s Farm with information about job openings within businesses in the Albuquerque, New Mexico area. What can you tell someone who is thinking about donating to Mandy’s Farm? We deeply appreciate those who choose to donate to our programs. These donations make a significant difference in the lives of the most vulnerable members of our community. Donations go directly to our enhanced programming for adults with developmental disabilities. Whether your donations is $5 or $5,000, your money assists us in purchasing art supplies for our visual arts program, helmets for adaptive horsemanship classes, life jackets for adaptive aquatics sessions, and seeds and gardening equipment for our adaptive gardening program. Your donations allow us to train our direct support staff in the most up-to-date methods and support techniques in order to increase positive outcomes for our service recipients. Through the generosity of our donors, we are able to provide a quality service to individuals with developmental disabilities, assisting them in building self-confidence, independence, and self-efficacy. 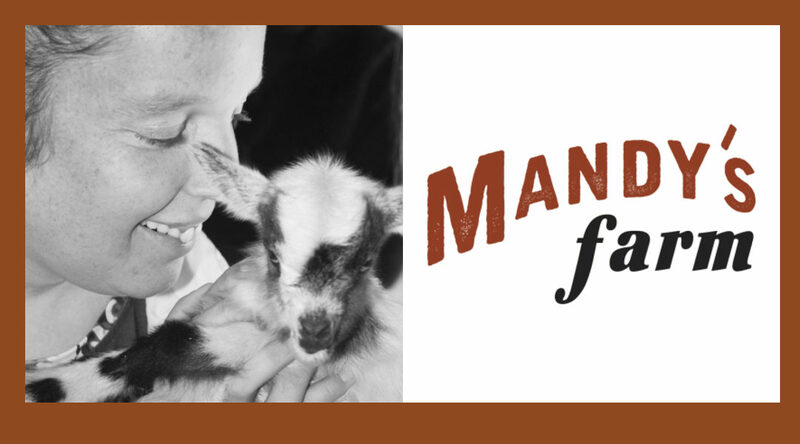 You can make a difference in the lives of adults with disabilities by supporting Mandy’s Farm. To learn more, visit the Mandy’s Farm website.